Known around the world for its paramedic emergency response program, Seattle’s world-famous Medic One added a new tool to its life-saving arsenal this summer. 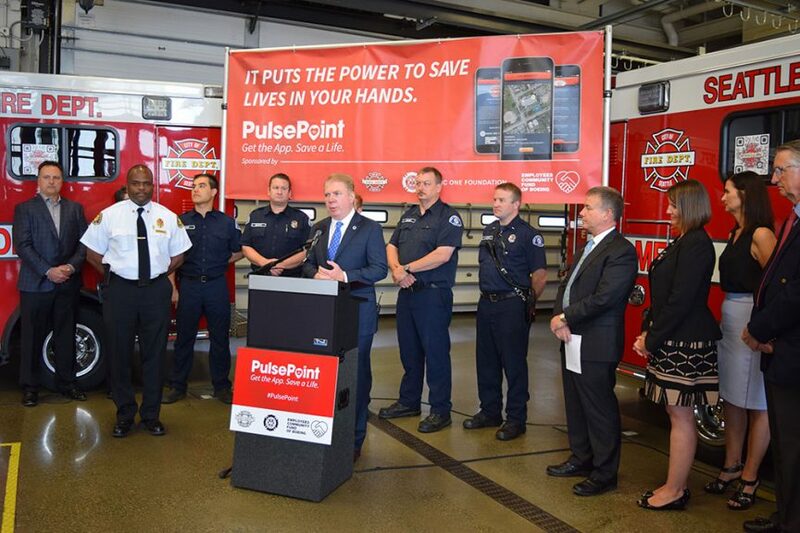 Working with Medic One and the Medic One Foundation, The Keller Group created an announcement event to inspire excitement around PulsePoint, a new life-saving app. Pulling major newsmakers to the podium and featuring those who have already benefitted from advanced rescue techniques, the event was attended by all major media in the area as they listened to prominent newsmakers, including Seattle’s Mayor, Fire Chief and more, encourage use of the app and express their enthusiasm for the new program. The corresponding media push resulted in 23 broadcast stories and 19 print stories, creating 172,705,375 PR impressions and a flurry of app downloads, boosted by continuing social media conversation, in the ensuing days. Through strategic advance work with key reporters, the client enjoyed a front page feature in The Seattle Times and broadcast coverage on the four Seattle TV stations, all network affiliates.